"Brueys" redirects here. For the French theologian and dramatist, see David-Augustin de Brueys. The Battle of the Nile was a major naval battle fought between the British Royal Navy and the Navy of the French Republic at Aboukir Bay on the Mediterranean coast off the Nile Delta of Egypt from the 1st to the 3rd of August 1798. The battle was the climax of a naval campaign that had raged across the Mediterranean during the previous three months, as a large French convoy sailed from Toulon to Alexandria carrying an expeditionary force under General Napoleon Bonaparte. The British fleet was led in the battle by Rear-Admiral Sir Horatio Nelson; they decisively defeated the French under Vice-Admiral François-Paul Brueys d'Aigalliers. Brueys was born to an aristocratic family in Rue Boucairie, Uzès, Gard, southern France in a house which now bears a plaque with his name. Joining the navy at 13, he was a volunteer on the ship-of-the-line Protecteur in 1766, he served in several campaigns in the Levant. Becoming a Garde de la marine in 1768, he fought in the Tunis expedition on the frigate Atalante and the Saint Domingue campaign on the ship-of-the-line Actionnaire, though he was forced to leave the latter due to sickness and return to France, where he served at shore establishments, mostly on France's Mediterranean coast. Uzès is a small town and a commune in the Gard department in southern France. Gard is a department in Southern France, located in the Occitanie region. It had a population of 742,006 as of 2016; its prefeture is Nîmes. The department is named after the Gardon River; the Occitan name of the river, Gard, has been replacing the French name in recent decades, both administratively and among French speakers. He rose to enseigne de vaisseau in 1777 and lieutenant de vaisseau in April 1780, before serving on the ship-of-the-line Terrible then the Zélé in Guichen's squadron. He fought in three battles against Admiral Rodney in April and May 1780, then in the battle against Hood's fleet before Fort-de-France in April 1781. He was present at all the battles involving Grasse's squadron, including the Chesapeake (September 1781) and the capture of Saint Kitts in February 1782. He then moved to the frigate Vestale, by chance he was not present at the battle of Les Saintes. He was made a chevalier de Saint-Louis at the end of the war. The Battle of the Chesapeake, also known as the Battle of the Virginia Capes or simply the Battle of the Capes, was a crucial naval battle in the American Revolutionary War that took place near the mouth of the Chesapeake Bay on 5 September 1781. The combatants were a British fleet led by Rear Admiral Sir Thomas Graves and a French fleet led by Rear Admiral Francois Joseph Paul, the Comte de Grasse. 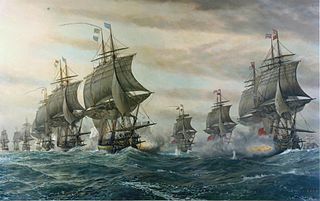 The battle was strategically decisive, in that it prevented the Royal Navy from reinforcing or evacuating the besieged forces of Lieutenant General Lord Cornwallis at Yorktown, Virginia. The French were able to achieve control of the sea lanes against the British and provided the Franco-American army with siege artillery and French reinforcements. These proved decisive in the Siege of Yorktown, effectively securing independence for the Thirteen Colonies. On the peace he was put in command of the aviso Chien de Chasse, with which he spent four years in the Antilles and off the American coast. 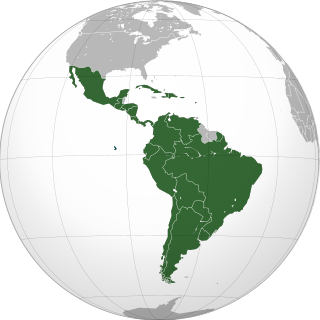 In 1787 he moved to command another aviso, the Coureur, which cruised along the coasts of Latin America. He then returned to France to command the fluyt Barbeau before taking one year's leave (1788–89). In 1790 he commanded the corvette Poulette. He sailed her from Toulon to Algiers with M. Vallière, France's consul general in Algeria. She also carried dispatches for the naval station and French consuls in the Levant. An aviso was originally a kind of dispatch boat or "advice boat". The term was later adopted by the French and Portuguese navies to classify their medium-sized warships designed for colonial service. The term continued to be used in the French Navy to classify the D'Estienne d'Orves–class patrol frigates until 2012, when the remaining ships of the class were reclassified as offshore patrol ships. It is similar to the modern use of "sloop" in other countries. He saw aristocratic family and friends killed during the Reign of Terror but managed to avoid such a fate himself. He did not emigrate and even found himself promoted to capitaine de vaisseau on 1 January 1792, before being put in command of the ship-of-the-line Le Lys at Toulon (renamed le Tricolore on the fall of the monarchy). He fought in the campaigns undertaken by Admiral Truguet's fleet - the bombardment of Oneglia, the Naples operation led by Latouche-Tréville, and finally the attack on Cagliari on Sardinia. Oneglia was a town in northern Italy on the Ligurian coast that was joined to Porto Maurizio to form the Comune of Imperia in 1923. In the Toulon affair the town authorities arrested him. A decree of the National Convention in September 1793 stripped him of his rank as a noble. Truguet's ministry in 1795 restored his rank and he received promotion to contre-amiral the following year. He commanded French naval forces in the Adriatic from 1796 to 1798, flying his flag in the ship-of-the-line Guillaume Tell. He transported troops to the Ionian Islands and supported Bonaparte's campaign in Italy by blockading the coasts but keeping supply lines open to Bonaparte's troops. The Ionian Islands are a group of islands in Greece. They are traditionally called the Heptanese, i.e. "the Seven Islands", but the group includes many smaller islands as well as the seven principal ones. Bonaparte noted Brueys's conduct in Italy and made him commander-in-chief of the fleet that would transport his army for the Egyptian campaign, with the rank of vice-admiral and flying his flag on the Orient. The fleet set sail from Toulon on 19 May 1798. Brueys was criticised in France for remaining at anchor right up until the moment of the attack, but Bonaparte replied to such criticism by saying "If, in this disastrous event, he made mistakes, he expiated them by his glorious end". His name appears on the southern pillar (23rd column) of the Arc de triomphe in Paris. ↑ Battesti, Michèle (1998). La bataille d'Aboukir, 1798: Nelson contrarie la stratégie de Bonaparte. Paris: Economica. pp. 67–74. ISBN 2-7178-3740-X. ↑ "Document sans titre". Pagesperso-orange.fr. Retrieved 2012-01-22. ↑ Battesti, Michèle. La bataille d'Aboukir, 1798: Nelson contrarie la stratégie de Bonaparte, op. cit. pp. 109–110. Mullié, Charles (1852). "Brueys (François-Paul, comte de)". Biographie des célébrités militaires des armées de terre et de mer de 1789 à 1850 (in French). (in French) Hubert Granier, Histoire des marins français 1789-1815, Marines éditions, Namtes 1998. (in French) Michèle Battesti, La bataille d'Aboukir, 1798: Nelson contrarie la stratégie de Bonaparte, Economica, Paris 1998. Wikisource has the text of the 1920 Encyclopedia Americana article Brueis d'Aigaïlliers, François Paul . Orient was an Océan-class 118-gun ship of the line of the French Navy, famous for her role as flagship of the French fleet at the Battle of the Nile in August 1798, and for her spectacular destruction that day when her magazines exploded. The event was commemorated by numerous paintings and poems. Count Armand Blanquet du Chayla was an officer in the French Navy, most famous as second in command of the French fleet during its defeat at the Battle of the Nile. Étienne Eustache Bruix was a French Navy admiral. Laurent Truguet was a French admiral. HMS Canopus was an 84-gun third rate ship of the line of the British Royal Navy. She had previously served with the French Navy as the Tonnant-class Franklin, but was captured after less than a year in service by the British fleet under Rear Admiral Horatio Nelson at the Battle of the Nile in 1798. 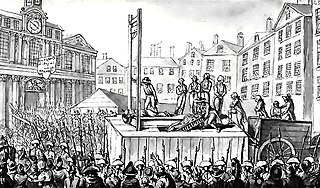 Having served for less than six months for the French from her completion in March 1798 to her capture in August that year, she would eventually serve for 89 years for the British. 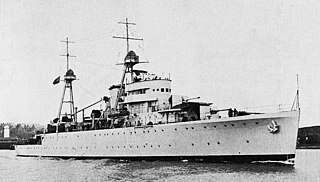 Borée was a Téméraire class 74-gun ship of the line of the French Navy. The Mediterranean campaign of 1798 was a series of major naval operations surrounding a French expeditionary force sent to Egypt under Napoleon Bonaparte during the French Revolutionary Wars. The French Republic sought to capture Egypt as the first stage in an effort to threaten British India, and thus force Great Britain to make peace. Departing Toulon in May 1798 with over 40,000 troops and hundreds of ships, Bonaparte's fleet sailed southeastwards across the Mediterranean Sea. They were followed by a small British squadron under Rear-Admiral Sir Horatio Nelson, later reinforced to 13 ships of the line, whose pursuit was hampered by a lack of scouting frigates and reliable information. Bonaparte's first target was the island of Malta, which was under the government of the Knights of St. John and theoretically granted its owner control of the Central Mediterranean. Bonaparte's forces landed on the island and rapidly overwhelmed the defenders, securing the port city of Valletta before continuing to Egypt. When Nelson learned of the French capture of the island, he guessed the French target to be Egypt and sailed for Alexandria, but passed the French during the night of 22 June without discovering them and arrived off Egypt first. The Battle of the Nile was a significant naval action fought during 1–3 August 1798. The battle took place in Aboukir Bay, near the mouth of the River Nile on the Mediterranean coast of Egypt and pitted a British fleet of the Royal Navy against a fleet of the French Navy. The battle was the climax of a three-month campaign in the Mediterranean during which a huge French convoy under General Napoleon Bonaparte had sailed from Toulon to Alexandria via Malta. Despite close pursuit by a British fleet of thirteen ships of the line, one fourth rate and a sloop under Sir Horatio Nelson, the French were able to reach Alexandria unscathed and successfully land an army, which Bonaparte led inland. The fleet that had escorted the convoy, consisting of thirteen ships of the line, four frigates and a number of smaller vessels under Vice-amiral François-Paul Brueys D'Aigalliers, anchored in Aboukir Bay as Alexandria harbour was too narrow, forming a line of battle that was protected by shoals to the north and west. The Action of 18 August 1798 was a minor naval engagement of the French Revolutionary Wars, fought between the British fourth rate ship HMS Leander and the French ship of the line Généreux. Both ships had been engaged at the Battle of the Nile three weeks earlier, in which a British fleet under Rear-Admiral Sir Horatio Nelson had destroyed a French fleet at Aboukir Bay on the Mediterranean coast of Egypt. Généreux was one of only four French ships to survive the battle, while Leander had been detached from the British fleet by Nelson on 6 August. On board, Captain Edward Berry sailed as a passenger, charged with carrying despatches to the squadron under Earl St Vincent off Cadiz. On 18 August, while passing the western shore of Crete, Leander was intercepted and attacked by Généreux, which had separated from the rest of the French survivors the day before. The Battle of the Malta Convoy was a naval engagement of the French Revolutionary Wars fought on 18 February 1800 during the Siege of Malta. The French garrison at the city of Valletta in Malta had been under siege for eighteen months, blockaded on the landward side by a combined force of British, Portuguese and irregular Maltese forces and from the sea by a Royal Navy squadron under the overall command of Lord Nelson from his base at Palermo on Sicily. In February 1800, the Neapolitan government replaced the Portuguese troops with their own forces and the soldiers were convoyed to Malta by Nelson and Lord Keith, arriving on 17 February. The French garrison was by early 1800 suffering from severe food shortages, and in a desperate effort to retain the garrison's effectiveness a convoy was arranged at Toulon, carrying food, armaments and reinforcements for Valletta under Contre-amiral Jean-Baptiste Perrée. On 17 February, the French convoy approached Malta from the southeast, hoping to pass along the shoreline and evade the British blockade squadron. Maxime Julien Émeriau de Beauverger was a French Navy officer and admiral. Jean-Pierre Étienne was a French Navy officer. Ganteaume's expeditions of 1801 were three connected major French Navy operations of the spring of 1801 during the French Revolutionary Wars. A French naval squadron from Brest under Contre-amiral Honoré Ganteaume, seeking to reinforce the besieged French garrison in Egypt, made three separate but futile efforts to reach the Eastern Mediterranean. The French army in Egypt had been trapped there shortly after the start of the Napoleonic campaign in Egypt in 1798, when the French Mediterranean Fleet was destroyed at the Battle of the Nile. Since that defeat, the French Navy had maintained only a minimal presence in the Mediterranean Sea, while the more numerous British and their allies had succeeded in blockading and defeating several French bases almost unopposed. The French brig Alerte was launched in April 1787. The Royal Navy captured her at Toulon in August 1793, and renamed her HMS Vigilante. The British set her on fire when they evacuated Toulon in December of that year. After the French rebuilt her as Alerte, she served at the Battle of Aboukir Bay. The British recaptured her in June 1799 and took her into service as HMS Minorca. Minorca was sold in 1802. Tarleton was a 14-gun brig launched in 1780 at Glasgow. She was a letter of marque that made one capture.The French captured Tarleton in October 1782 in the Caribbean.They took her back to France in 1783 and she was subsequently stationed at Brest, where she served in the Mediterranean. The British recaptured her at Toulon in 1793 and she then served in the Mediterranean until no later than 1798 when she disappears from the lists. The Action of 18 June 1799 was a naval engagement of the French Revolutionary Wars fought off Toulon in the wake of the Mediterranean campaign of 1798. A frigate squadron under Rear-admiral Perrée, returning to Toulon from Syria, met a 30-ship British fleet under Lord Keith. Three ships of the line and two frigates detached from the British squadron, and a 28-hour running battle ensued. When the British ships overhauled them, the French frigates and brigs had no choice but to surrender, given their opponents' overwhelming strength. Poulette was a French Coquette-class corvette built to a design by Joseph-Marie-Blaise Coulomb and launched in March 1781. She served the French navy until 1793 when the British captured her at Toulon in 1793. She served briefly in the Royal Navy, including at the battle of Genoa in 1795, until she was burned in October 1796 to prevent her falling into French hands.